Sustainable lighting. LED lighting solutions, as well as other advanced lighting technologies, can cut as much as 80 percent from the bottom line, according to Inbound Logistics. Retrofitting your warehouse with LEDs will have upfront costs but considering that they cost much less to operate and the time for replacement is limited, you’ll save both energy and labor costs. Smarter identification. Multi-level warehouse rack labels, long-range retroreflective signs, and a greater volume of hanging signage speeds up picking for your workers, which helps cut down labor costs while speeding up order fulfillment. Smarter facility layouts. Using data gained through asset tracking, warehouses can reduce labor and energy costs by redesigning their layouts so the fastest-moving inventory is more accessible than inventory that tends to sit the longest. Warehouses can also make greater use of vertical space. Taking a new look at their space could lead to efficiencies that you hadn’t even considered before. Look into energy management. How efficient are your heating and cooling systems? What about how water is distributed throughout your facility? Are you using low-flow toilets and faucets? It might be worth it to check out energy management systems that integrate the timers, thermostats, and gauges that control the electricity, gas, heat, and water. The right eco-friendly system will help lower overall usage, which leads to savings costs. Purchase energy efficient equipment. Now that automation is becoming more commonplace in the warehouse and logistics space, what about other equipment that your operations relies on. For example, have you considered electric forklifts that operate without the need for gas and oil? What about other battery- or electric-powered vehicles? According to PBD Worldwide, electric forklifts improve worker health (no toxic fumes to inhale) and result in an estimated savings of $26,000 in propane over five years! Recycle. This is the low-hanging fruit of going green. Warehouses need to implement recycling initiatives that they can ultimately profit from. What can be recycled? Nearly everything. That includes pallets, crates, totes, cardboard, paper, aluminum, and plastics. Waste can be minimized by reusing packaging materials. But no matter the volume of waste you produce, someone will pay you for taking it off your hands. 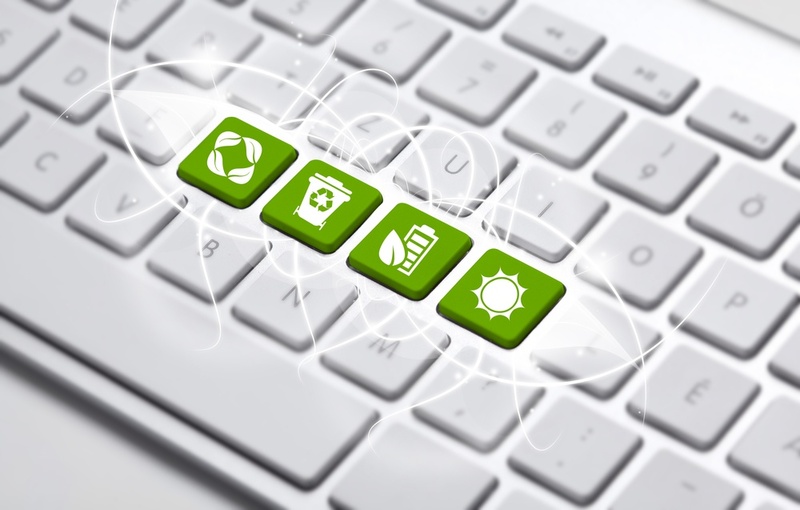 How have you trimmed costs through green initiatives? What are best practices you can share? Let us know in the comments below!